The European Commission has initiated at the beginning of August additional financial assistance for the countries mostly affected by the crisis, which is to be voted soon by the Council and Parliament. According to the Commission’s proposal, Greece, Ireland, Portugal, Romania, Latvia and Hungary would have the opportunity to significantly reduce their share in projects co-financed by the European Union. EU’s funding would be raised from 85% to 95% as a temporary measure, contributing to stimulating growth and competitiveness of the troubled economies. The decision includes the European Regional Development Fund, the Cohesion Fund, the European Social Fund, the agricultural fund for Rural Development and the European Fisheries Fund. 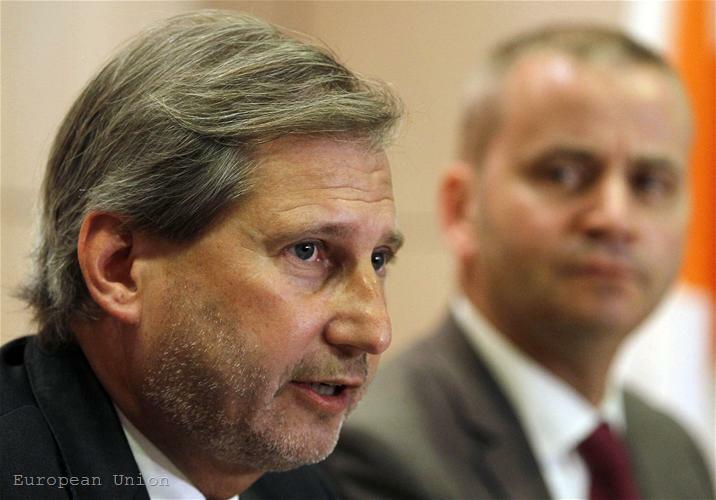 As a result the countries that have dramatically reduced their budgets, as a measure to fight deficits and therefore do not have the ability to invest in their own economies, would receive "more breathing space", according to EU’s Commissioner for Regional Policy Johannes Hahn. The total amount that would notably relieve the budgets of the six is almost 2.9 billion euros. The money is part of the programme under the Balance of Payments Mechanism for non-euro area countries - Romania, Latvia and Hungary, as well as from the European Financial Stabilisation Mechanism for countries in the euro area, incorporating until now Greece, Ireland and Portugal. Each of the six states would have the right to request a 95% funding from the Commission for priority projects aiming at economic growth and employment, retraining workers, setting up business clusters or investing in transport infrastructure. When presenting the idea, the President of the Commission, Jose Manuel Barroso, has stated that “these proposals are an exceptional response to exceptional circumstances. Accelerating these funds, combined with the financial assistance programmes, demonstrate the Commission's determination to boost prosperity and competitiveness in the countries mostly hit after the financial crisis – thereby contributing to a kind of 'Marshall Plan' for economic recovery”. 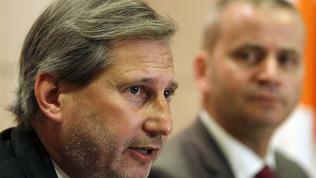 This so called “Marshall” plan for the European funds would enable Greece to absorb almost 900 million euros additionally provided that strict rules are observed and money is aimed at “quality and sound projects”, as Commissioner Johannes Hahn declared. In July Greece had already managed to settle with the Commission an increase of its EU subsidies under the Cohesion fund. However, our southern neighbour has sought to allocate only 4.9 billion of the total of 20.2 billion euros designated for Greece until 2013. In order to help Greece gain the most of its EU subsidies, the Commission will send a special task-force to the country and will also simplify some of the admissions procedures for EU financial support. Romania which, as Bulgaria, is outside the eurozone, would receive a 700 billion euros top-up of its funds. The country has absorbed just a billion euros from the overall sum of 20 billion euros under EU’s structural funds. The fundamentally insignificant allocation of EU support has been criticised by the European Commission in this year’s report under the Co-operation and Verification Mechanism in the area of justice and home affairs. Despite the fact that Bulgaria is officially the poorest country in terms of household income per capita in Europe, being even worse off than Romania and Latvia for the period of 2007 -2013; and also one of the dramatic backlaggers in EU funds absorption, the country would not be a subject to a “Marshall Plan”. In a research from April 2011, the official statistical agency of the EU (Eurostat) has listed us as part of the L9 - the group of 9 EU countries with the lowest real household income per capita along with Romania, Latvia, Poland, Estonia, Hungary, Lithuania, Slovakia and the Czech Republic. In the comparisons graphics regarding the changes in relative real adjusted gross disposable income of households per capita between the L9 and the EU average for 2007- 2009 it is noted that data for Romania and Bulgaria were not available for the exercise. On the other hand Bulgaria is an excellent achiever in its fiscal policies and has not required financial assistance. All countries that would draw on the “Marshall Plan” have received rescue loans from the EU and the IMF.